Sometimes the simple things in life are the best. Sure, all the bells and whistles are fun to play with, but sometimes you just need a piece of equipment that will get the job done. 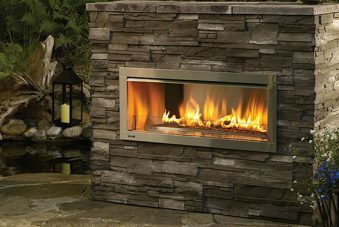 A barbecue’s primary function is to cook food, and all you need is a grill, hotplate, and fire to cook delicious meals outdoors for your family and friends. Simple BBQ setups are easy to clean and require minimal maintenance to keep them in good working order. That’s what this post is about. Getting back to the basics with some of the best low maintenance BBQ’s on the market. The Weber Original is an Aussie icon and one of the names that instantly springs to mind when the subject turns to BBQ’s. The Weber Original is as simple as it comes yet is highly functional and can do almost everything the models with all the trinkets can. It’s a simple set up with the dome casing, one side is the grill the other is the hot plate. Then you’ve got the burners underneath and that’s about it. It comes on a trolley with wheels so can be easily moved around to the desired location. Their simple setup is so easy to clean and maintain. I guess that’s why they have been so popular and will continue to be for years to come. 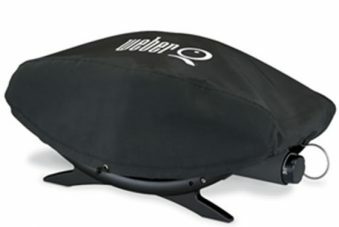 The Weber Family Q is the big brother to the original and is fairly new to the game. The Family Q is still a very simple set up, it’s just a little bigger and can handle any type of cooking from roasting to grilling to making pizzas. Not only does it look the part the Weber Family Q is highly economical and will cook up to forty meals per 9kg gas bottle. Like the Original, the Weber Family Q comes on a trolley with wheels and is fully portable. There is even space to store your utensils. It has two surfaces for resting your trays and dishes which makes it a bit more user-friendly than the Original. It’s still a bare-bones BBQ and is easy to clean and maintain yet produces spectacular results. This is Beefeater’s answer to the Weber Family Q. It’s very similar to the Weber design, and it’s a great bare bones BBQ and does a spectacular job on roasts and grilling. 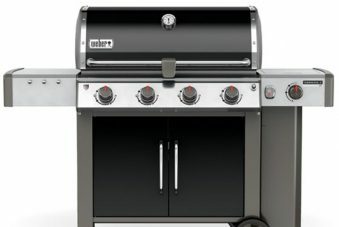 It’s very simple to set up, of course, similar to the Weber it has hotplate one side and grill on the other. A simple wipe down is all takes to clean it up and there isn’t much to it, making maintenance a breeze. Whether you’re after something simple and low maintenance or a BBQ with all the bells and whistles, at Hawkesbury Heating we’ll get you cooking in no time. Don’t be a stranger and pop onto our website or come on down to the shop and we will sort you out with the perfect BBQ for this Summer.